We discovered the RTS Space Battle – Armada Commander just recently. It caught attention, entertained us, so we decided to review it. 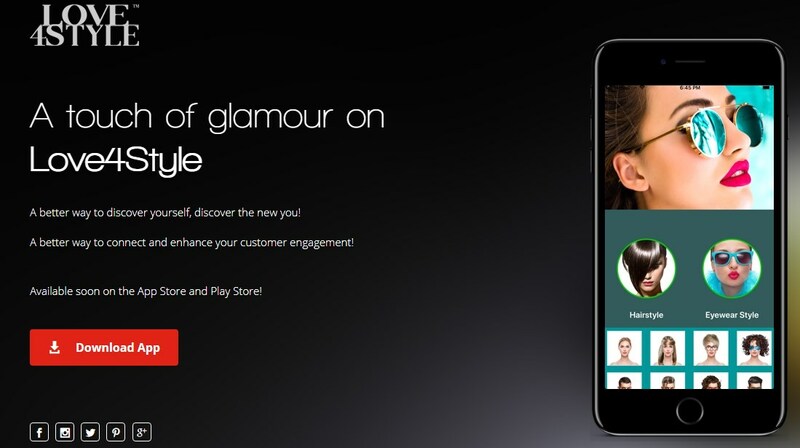 Read more about this android strategy. Earning apps are popular among users worldwide. This type of app offers you the chance to earn some extra cash online by doing some simple tasks. Among so many of these apps, developed for our smartphone, finding reliable and truthful programs to earn money, get gifts and rewards is not that easy. 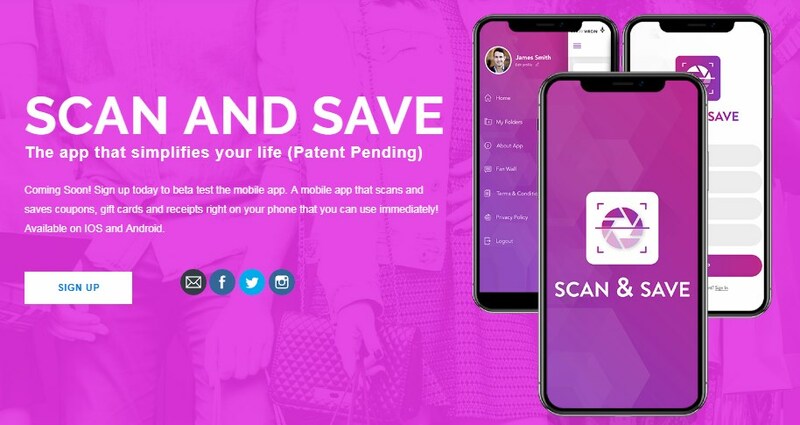 To make it easier for you, we searched and we are offering you an amazing gift and reward app with the legitimate program for you to earn some extra cash and gifts. Let’s see what the ZeusRewards app offers. For users in need for some extra quick cash, this incredible gift and reward app offer you to earn some extra cash from the comfort of your home or office, right on your tablet or phone. 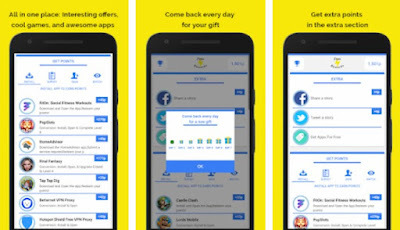 Developed on android platform, easy to use, this earning app will offer a wonderful user experience while each user gets the chance to earn gift cards and rewards from doing simple fun tasks like playing games, downloading apps and discovering offers. Get awesome rewards and gifts by earning points. 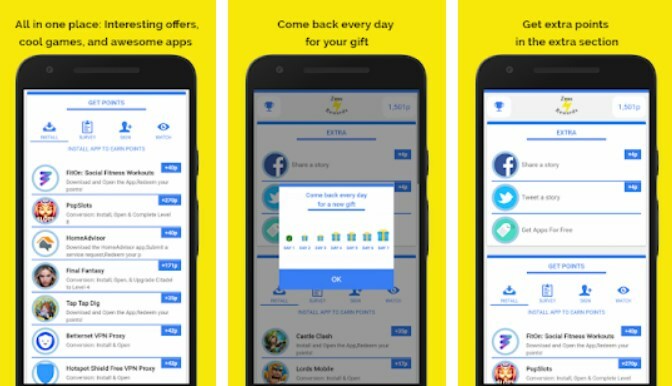 This gift and reward app offers all in on the app, cool games, awesome apps, and interesting offers to discover. Using this reward app gives you the ability to discover great offers simply by downloading apps on Android phones or tablets. Your earning don’t have to be limited to just the amount of work you are doing but also you can share the app with your friends and family to gain more points. When you earn enough points on the app, you get to convert them to cool rewards and gift cards. 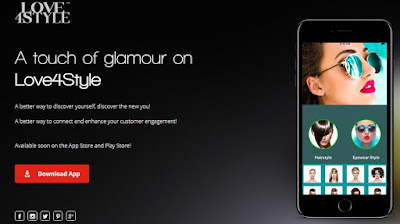 To earn some extra points on the app is also possible by using some apps you’ve downloaded for some time. 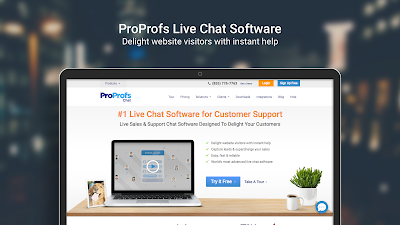 Do the needed work from anywhere you like to, from your office or home, right on your smartphone. Each day comes back on the app to get your gift and reward. The earned reward points can be converted to cash in PayPal easily. Have fun playing games, finding offers and downloading apps, earning your points and getting awesome gift cards and rewards. 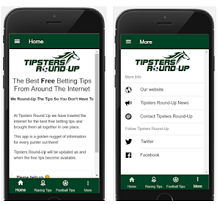 Download this app for free on Google Play now to earn some extra cash from the comfort of your home! If you have some design ideas on how to decorate and enrich your habitation and you like to visualize them to get a better idea on how it will make your place look, you need the right app. 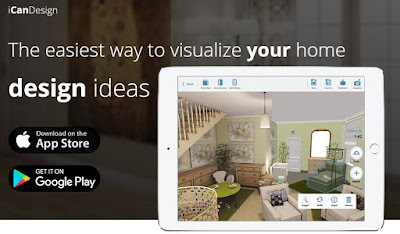 iCanDesign is the perfect choice for you, offering you all the features you need to easily visualize your interior design ideas in 3D, decorate and furnish your home and to even share your design vision. Because of all offered, we pronounced it our Most Useful App of the Month. 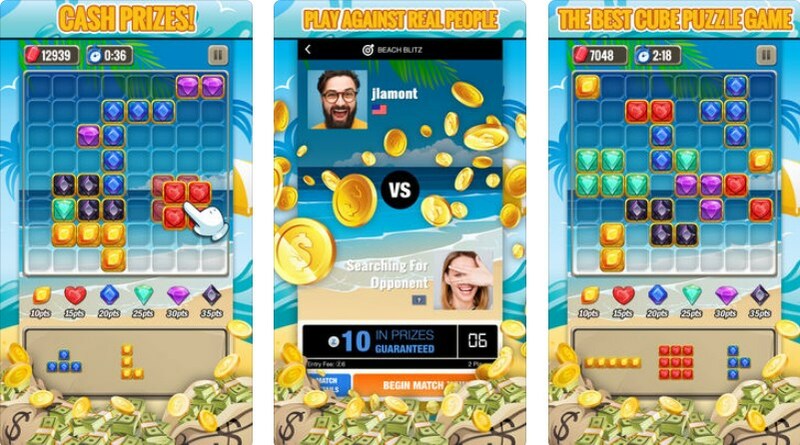 Playing games on the go is quite popular among smartphone users. 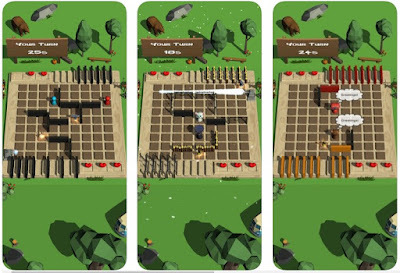 These games offer you a simple and yet challenging gameplay that you can enjoy when you feel bored or you want to kill some free time. Thousands of these games are available for our smartphones that makes it hard to choose the best one. We searched and we discovered a thrilling tap ball bouncing and flappy hoop game to test your tapper skills as you try to stay in the game as long as you can. Let’s see what the game offers you. 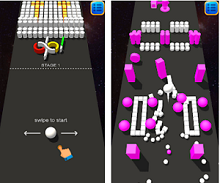 This exciting tap ball bouncing game and flappy hoop game is developed on android platform, very easy to play and yet quite challenging, putting your tap skills on the test. You need to showcase immense precision, focus and concentration and the game endless tap game will lead you on a journey of endless ball ring matching and thrilling precise ball tap challenges. All you need to do is to match the colors in order to score. Start the quest and tap fast to see how long can you go in the flappy adventure. Flappy Dunk Ball as the exciting tap ball bouncing game is featuring vertical flappy hoops with different colors and the bouncing flappy ball is changing its color constantly so the player needs to go through the same colored flappy rings. On the game, the position of the color matching ball rings and the flappy ball varies which makes the game quite challenging. To showcase your precision, reflexes and focus you need to follow the flappy ball and circles to see where they will take you. If you miss the correct ring toss and fail to go through the flappy circles, the game will end for you. Tap fast and be precise to expertise the perfect ball bounce and get the highest scores, experiencing exciting flappy hook dunks. Bounce and tap jump with the ball as long as possible to get to your goal. The game will be easy at the beginning but will become challenging as you progress. See how far you can get in the quest. Download this game on Google Play for free to see how long you can last in the flappy dunk adventure! Virtual try-on apps can be quite fun to use, offering you the chance to try new looks and styles, discovering yourself and what suits you the best. Love4style is an incredible virtual try-on app which offers you the chance to create new looks with cool hairstyles, glasses and sunglasses and even share your new look with others. Because we liked this app so much, we decided to be our iOS App of the Week. Playing puzzle games on your smartphone is quite addicting and fun, especially if you like to test your skills and sharpen brain in the same time. 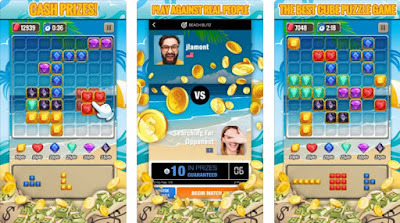 Jewel Blitz is an easy to learn addictive and challenging block puzzle game where you can show your skills of puzzling, challenging and competing other players, winning real cash prizes for your achievements. We liked this game so much, we decided to be our Puzzle Game of the Week. One thing that separates a trendsetter from the rest in the market is providing exceptional services consistently. People know that there are too many options for them to explore. Except, how many brands are able to provide consistent services that are exceptional and reliable? Let’s just say, a few. However, the reason for being this blunt is because not every brand is able to stand up to customers expectations. Whereas, 54% of all consumers globally express that they have higher customer service expectations than they did just one year ago. What’s more, many feel that companies should take into account their feedback to improve customer experience. Zoomly for Instagram was presented on intellectuapp a few days ago. 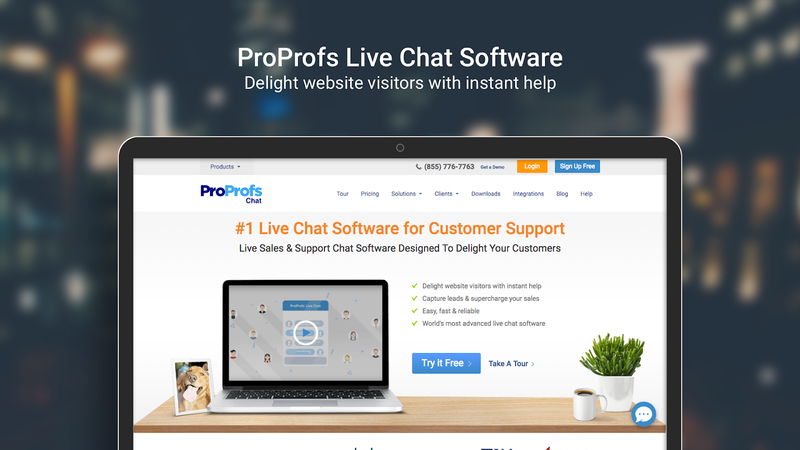 This handy tool impressed us with its simplicity and usefulness. 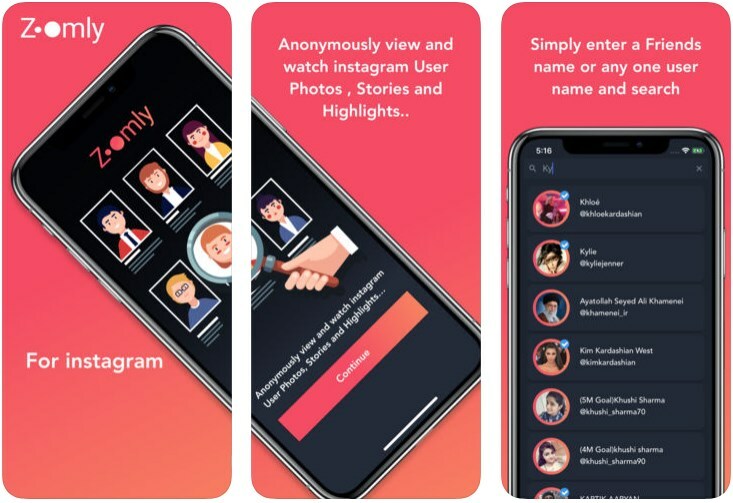 Because of its great functionality for Instagram users, we decided to give it another appraisal, this time we pronounce it as our Social App of the Week. If you like to strategize and play games where each move you make matters for the end result, then you should try to play a board game. Labyrintheon is the most thrilling, fun to play and highly challenging board game where you need to strategize, think hard and try to outsmart the opponent and reach the end of the board first to win. Because of all that this game offers, we pronounced it as our Board Game of the Month.